Native Americans ‘slaughtered, sacrificed, fenced in reservations’ in US Native Americans have repeatedly saved the settlers, but there are no holidays to mark this. 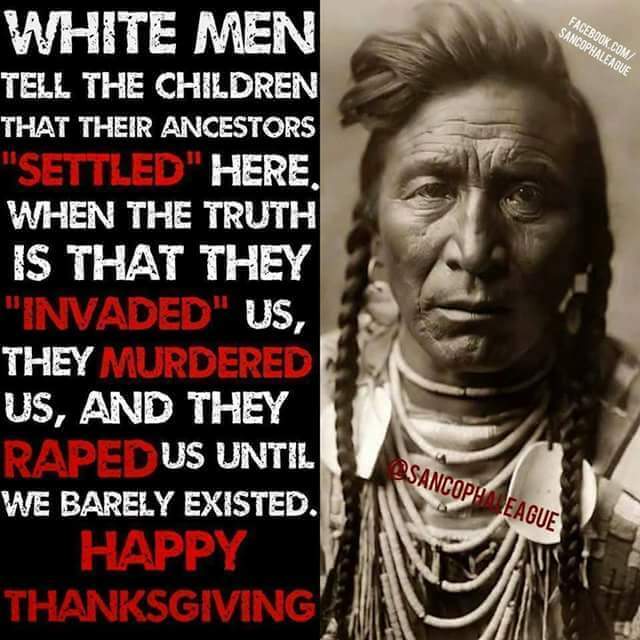 The true story is that the pilgrims massacred Indians, so the governor of Massachusetts issued a message to thank God for that and called on the other states to follow suit. 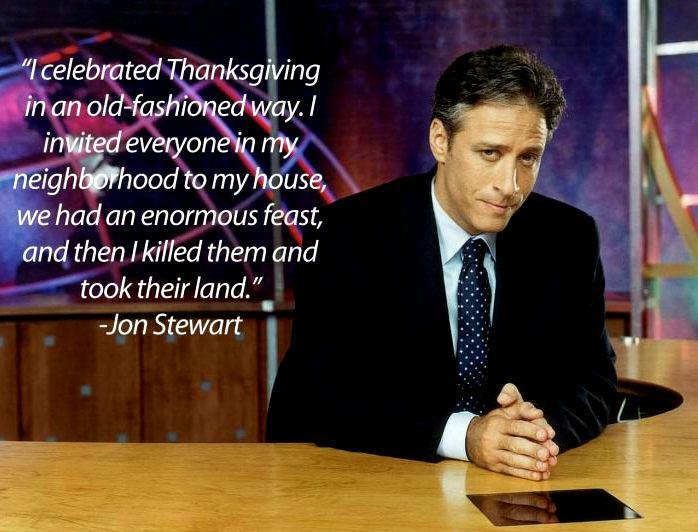 Later on they tried to give the holiday a more peaceful meaning, but there’s no changing the past.